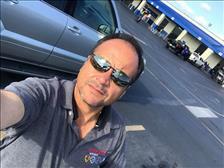 One of the best car detailers in the industry, Aroldo takes great pride in his work and always has a courteous and pleasant attitude towards everyone that walks through our doors. After Aroldo is done with your car, you'll feel as if you were the first to ever drive in it. 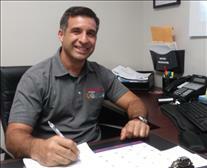 Camilo has had over 20 years of experience in the used car market, has an extensive background in the financial industry and has obtained a Master's Degree in Business Administration. With Camilo's background, he adds the strength of having several relationships with banking institutions for our consumers financial needs. Regardless of your credit status, Camilo will find a way for all of our customers to receive a loan for the vehicle of their preference. Call us today at 954-788-0425 for your next vehicle purchase. 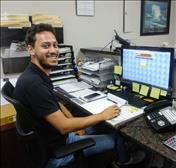 Camilo speaks Spanish, English & understands Portuguese. 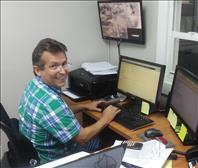 A wizard with numbers, Jairo plays an intricate role in our everyday business function. Reliable and knowledgeable in accounting transactions, Jairo makes certain that our checks and balances are always accurate. When it comes to customer service, Jussara is the person you want to speak with. Jussara handles several functions within our company from receivables, payables, titling and filing, Jussara can do it all. 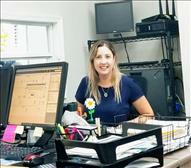 You'll always experience a warm experience with Jussarra because she takes the time to get to know our customers. You need your car repaired the right way, Leo is your guy. With many years of experience in automotive mechanics, Leo can spot a cars symptoms within seconds. 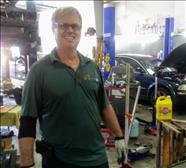 Leo also has a passion with racing cars and is well known within the local race car community as a top mechanic. Evandro comes to Brascar with a long history of buying cars and has a keen eye for locating great vehicles for our customers. Not only does Evandro purchase vehicles but he also has a deep understanding of vehicle features, functions and mechanics. Please feel free to contact Evandro at 954-788-0425. Evandro speaks Portuguese, Spanish & English.